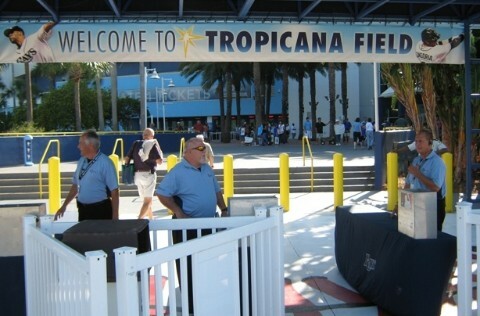 The Tampa Bay Rays have been playing baseball in the American League East since 1998. Their home stadium is Tropicana Field in St. Petersburg, Florida and their team colors are navy, Columbia blue, white and gold. The idea of Major League baseball in the Tampa Bay first started to gain steam in the sixties, thanks in large part to local civic leader Jack Park’s promotion of the region as a potential landing place for a Major League team. The Minnesota Twins, Texas Rangers and Seattle Mariners all flirted with moving to the Tampa area during the eighties, and when Tropicana field was completed in 1990 big league ball in Tampa/St. Pete seemed inevitable. In fact, there was agreement in principle to sell the San Francisco Giants to a group of Tampa area investors and move the team to Florida in 1992 but it was nixed at the last moment. Nevertheless, Tampa would get their team through baseball’s mid-nineties expansion process and the Tampa Bay Devil Rays began playing ball in 1998. Hometown boy Wade Boggs and Fred McGriff were the stars of Tampa Bay’s inaugural team, but both were also well past their prime and the Devil Rays struggled to a ninety-nine loss season. Ninety loss seasons and fading older players — such as Jose Canseco and Vinny Castilla and Greg Vaughn — were the norm during the Devil Rays first decade of existence. But all those last place finishes also meant high draft picks and by 2007 Tampa Bay had a roster of budding young stars like Carl Crawford, BJ Upton, James Shields and Matt Garza. 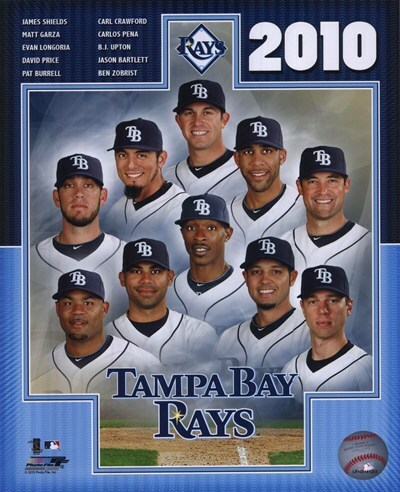 In 2007 Tampa also decided to drop the “Devil” and just become the Rays. The also ditch the team’s original rainbow color scheme for a more dignified combinations of blue, white and gold. 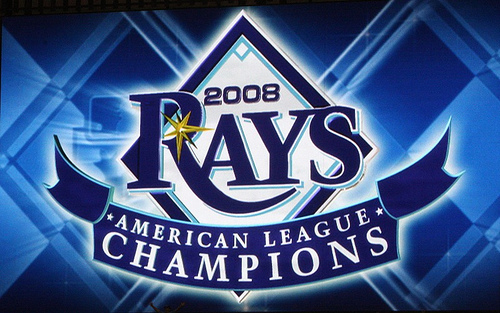 The changes seemed to work as the Rays had their first winning season ever in 2008, advancing all the way to the World Series which they lost to the Philadelphia Phillies. 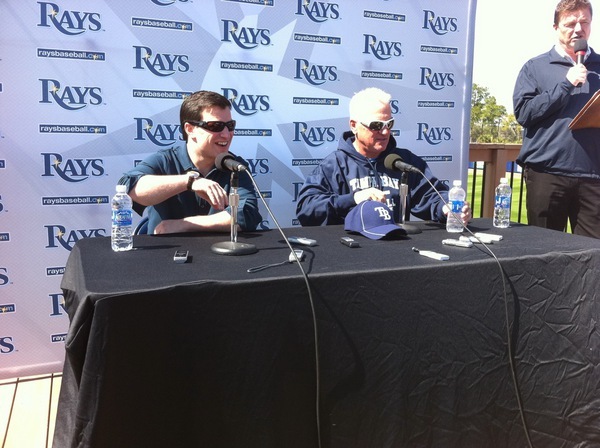 The Rays haven’t had a losing season since, and manager Joe Maddon and general manager Andrew Friedman have garnered universal praise for using platoons, sabermetrics, clever trades and bargain free agent signings to build a consistent winner despite the restraints of one of the lowest payrolls in Major League baseball. 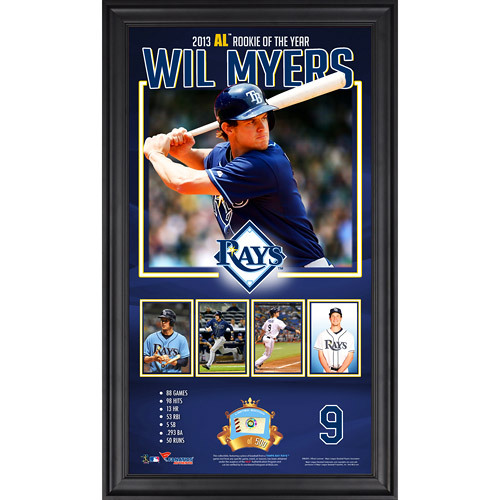 The Rays enjoy an interleague, inter-state rivalry with the Miami Marlins and have also managed to develop intense back-and-forths with American League East mainstays the Boston Red Sox and New York Yankees. Key Tampa Bay Rays players: Wade Boggs, Fred McGriff, Rolando Arroyo, Jose Canseco, Greg Vaughn, Aubrey Huff, Carl Crawford, Rocco Baldelli, Jamie Shields, BJ Upton, Carlos Pena, Evan Longoria, Scott Kazmir, Matt Garza, David Price, Ben Zobrist, Jeremy Hellickson, Matt Moore, Fernando Rodney, Will Myers. Key manager: Larry Rothschild, Joe Maddon. All time record: 1195 and 1395.